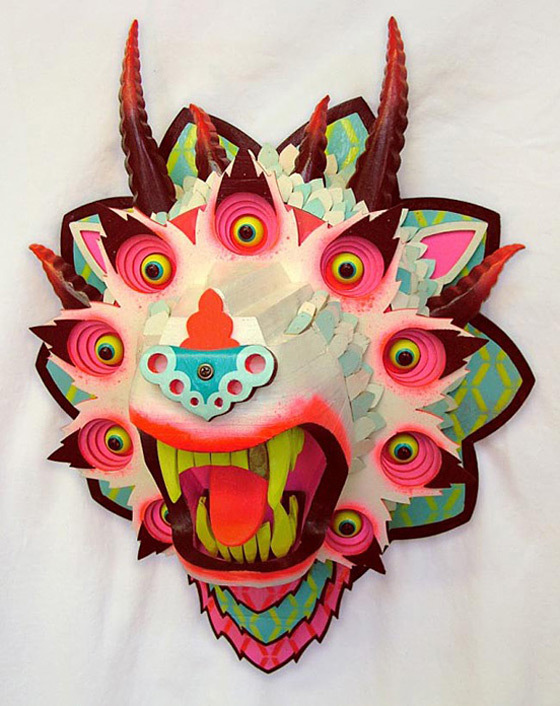 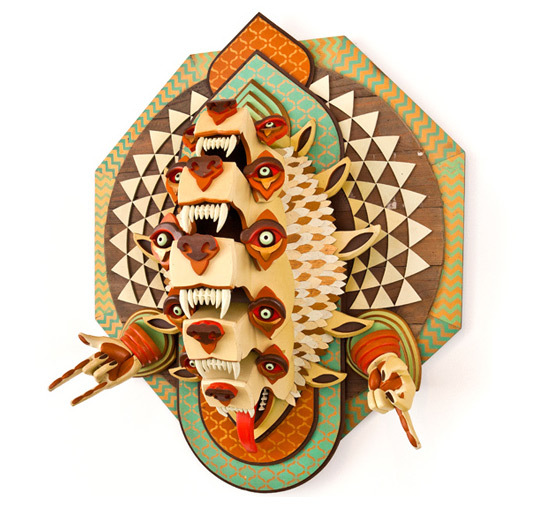 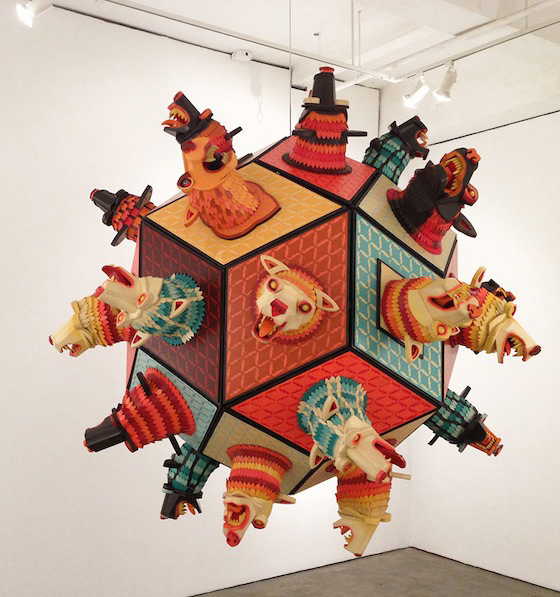 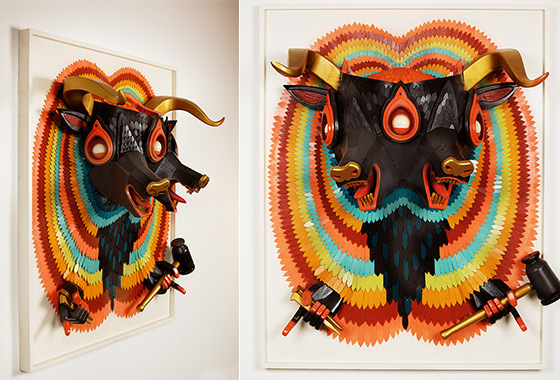 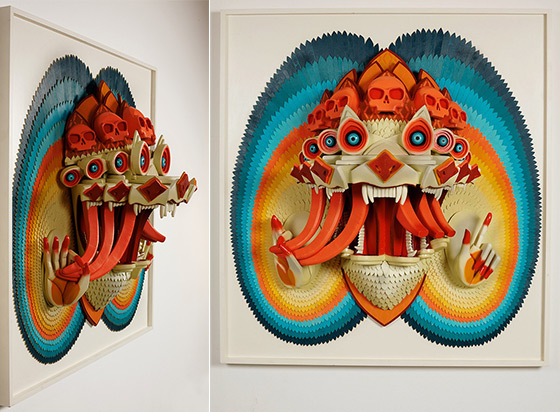 These colorful 3D wooden sculptures are created by Portland, Oregon-based artist AJ Fosik who is good at using geometrical shape to create dramatic effect. 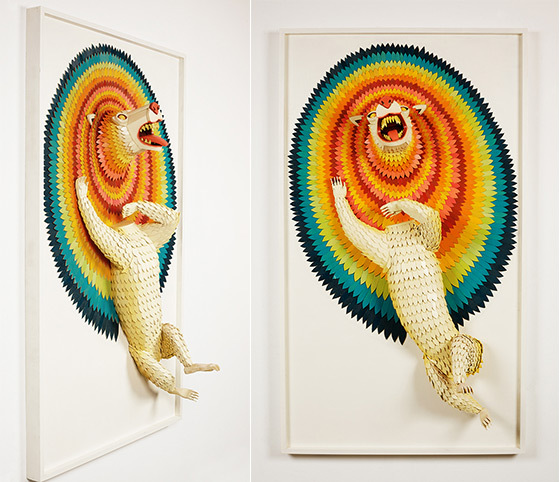 Using a radiant spectrum of colors for his work, artist successfully create those vivid sculptures looks like they are going to jump out of frame. 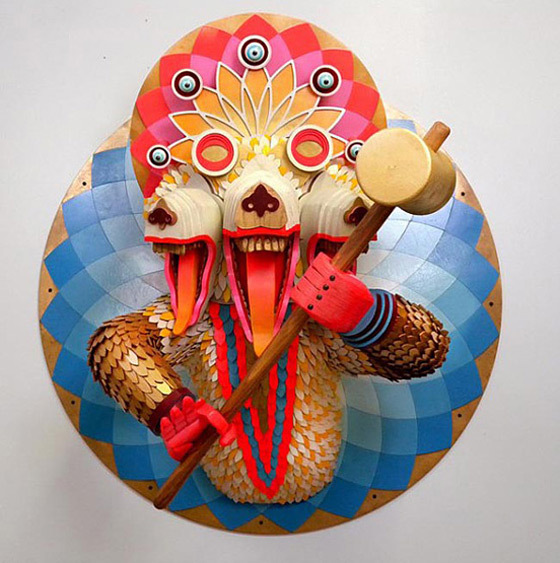 These animal subjects and anthropomorphized beings are built using a complex proces by arranging hundreds of pieces of individually cut and varnished wood. 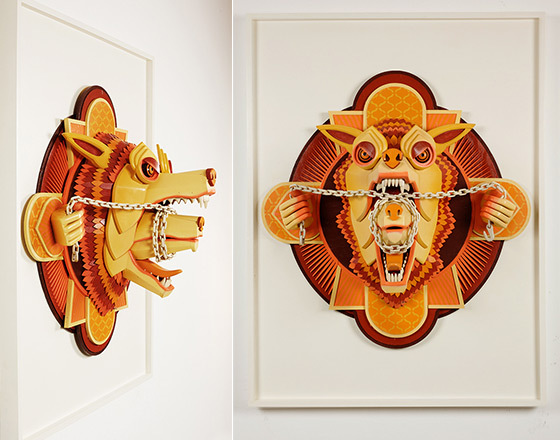 Sharp teeth, claws, and eyes, ultimately, Fosik’s work explores themes of mortality, idolatry, and the duality of humanity between the physical and symbolic self.